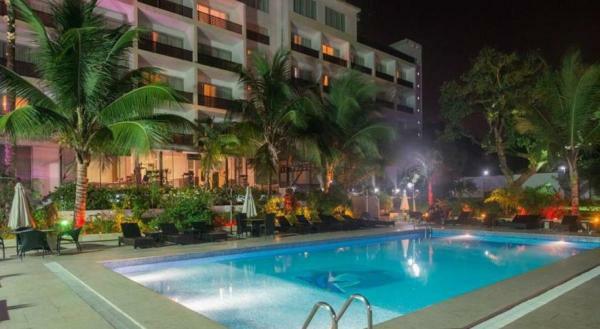 Set in Brazzaville, Pefaco Hotel Maya Maya has an outdoor swimming pool and tennis court. Each unit at the hotel has pool views and free Wi-Fi. Local points of interest like Angolan Embassy and Cameroon Embassy (Brazaville) are reachable within 2.2 km and 2.5 km, respectively. 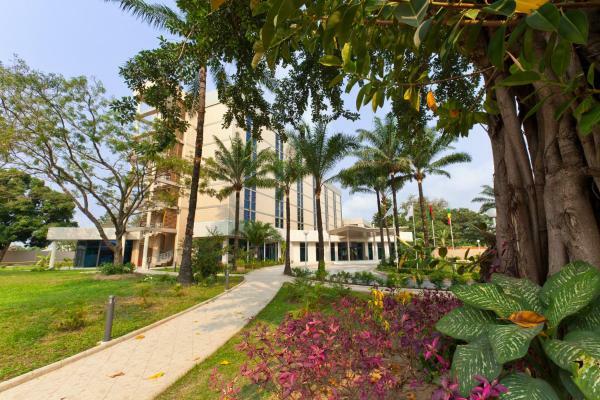 Featuring a terrace, GHS Hotel set in Brazzaville is set 400 metres from Casino. Popular points of interest around the property include Supermarket and Supermarket. 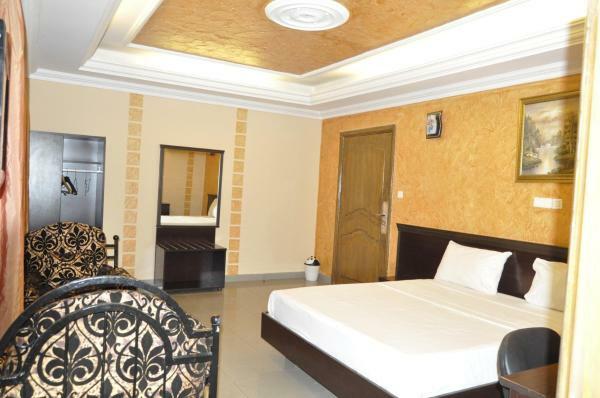 Offering air-conditioned rooms, the property features a 24-hour front desk and free private parking is available on site. El Ledger Plaza Maya Maya ofrece alojamiento en Brazzaville y cuenta con Wi-Fi gratuita, restaurante y piscina al aire libre. El aparcamiento privado es gratuito. 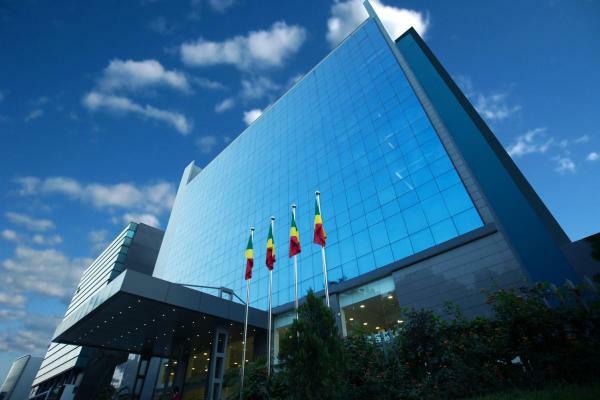 El Radisson Blu M'Bamou Palace Hotel, Brazzaville se encuentra en Brazzaville. Las habitaciones tienen TV de pantalla plana y baño privado. 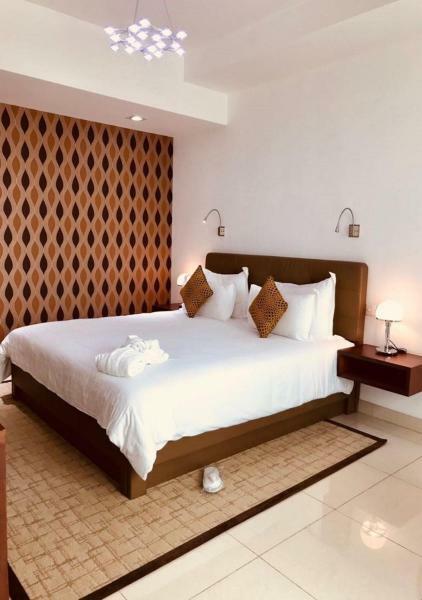 Featuring free Wi-Fi, Leon Hotel Brazzaville offers accommodation in Brazzaville, 800 metres from Cameroon Embassy (Brazaville) and an 11-minute walk from Embassy of Gabon. Located around 900 metres from Supermarket, the hotel is also 900 metres away from Casino. Supermarket is 1 km from the hotel and Angolan Embassy is 2 km away. Located within 1.3 km of Cameroon Embassy (Brazaville) and a 16-minute walk of Embassy of Gabon in Brazzaville, Auberge Léo features accommodation with free Wi-Fi and a kitchenette. The accommodation is air conditioned and features a hot tub. 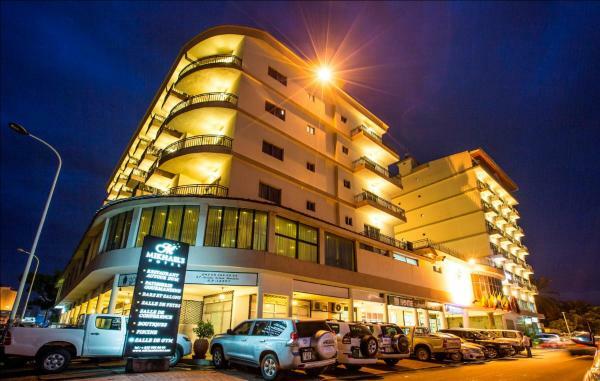 Situated in Brazzaville, Elbo Suites offers accommodation with a terrace and free Wi-Fi. Set in Brazzaville and within 1.7 km of Cameroon Embassy (Brazaville), Edmond Hotel has a bar, non-smoking rooms, and free Wi-Fi. This 4-star hotel offers a 24-hour front desk and luggage storage space. Embassy of Gabon is 1.8 km away and Supermarket is 1.9 km from the hotel. 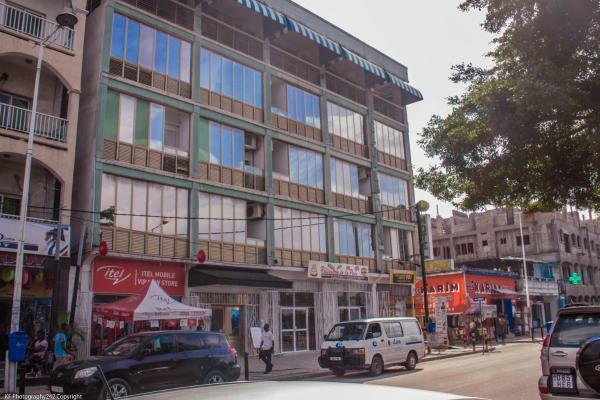 Set in Brazzaville, 2.1 km from Angolan Embassy, Hotel de l'Aeroport has a number of amenities including a bar and free Wi-Fi. 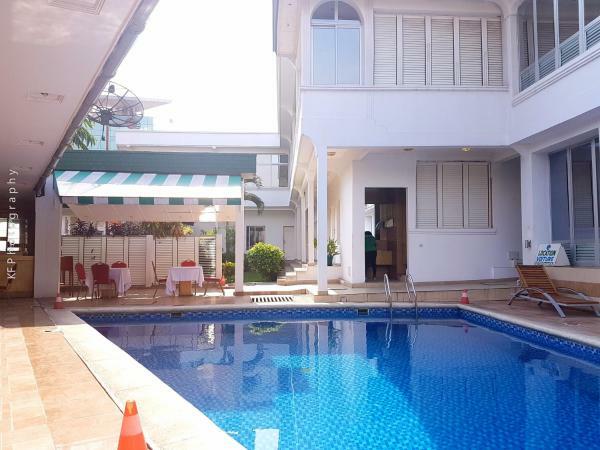 Offering a restaurant, the property is located within 2.3 km of Cameroon Embassy (Brazaville). The accommodation offers a 24-hour front desk. 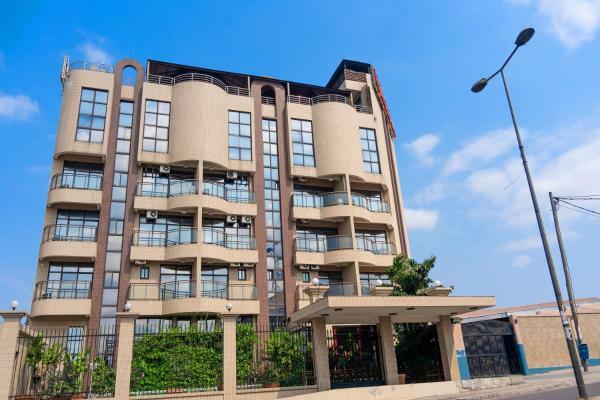 Located in Brazzaville, 800 metres from Supermarket, Hotel de la Paix Brazzaville has a number of amenities, including a terrace, a shared lounge and free Wi-Fi. 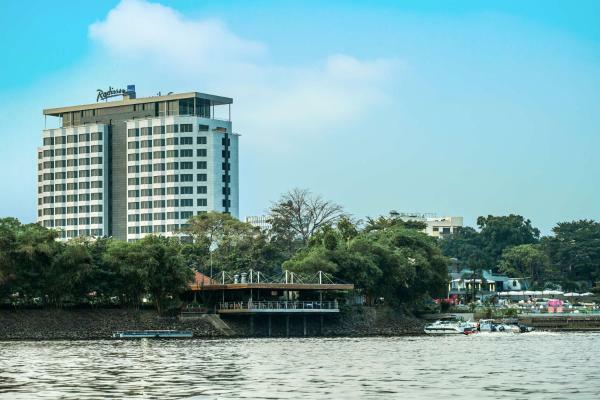 A 9-minute walk from Embassy of Gabon, the hotel provides a bar and a restaurant. Cameroon Embassy (Brazaville) is 1 km from the hotel. Résidence Hôtelière de Moungali Congo Brazzaville in Brazzaville features a shared lounge and a bar. 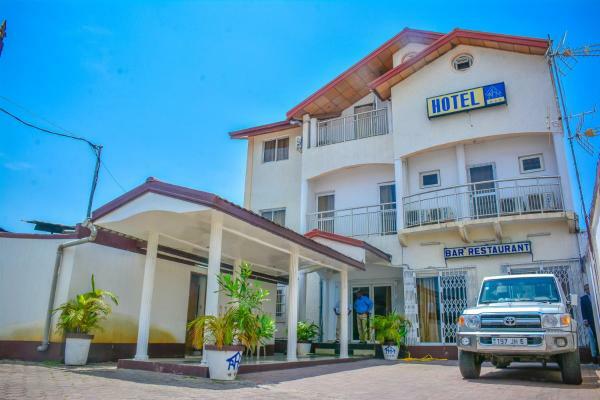 Featuring on-site dining, the hotel is close to several noted attractions, around 1.4 km from Supermarket, a 17-minute walk from Embassy of Gabon and 1.6 km from Cameroon Embassy (Brazaville). Both free Wi-Fi and private parking are available at this property. 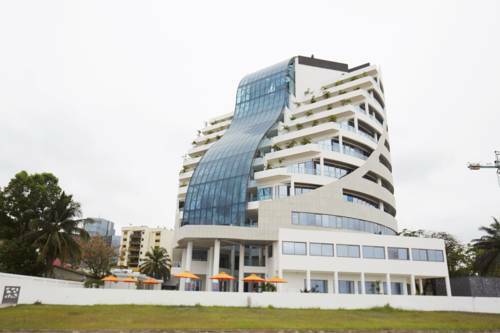 Set 1.6 km from Angolan Embassy, Hotel du Boulevard in Brazzaville has a bar and restaurant. This 3-star hotel offers free Wi-Fi. The accommodation provides a 24-hour front desk and luggage storage space for guests. Featuring free Wi-Fi and a restaurant, Hotel Olympic Palace offers pet-friendly accommodation in Brazzaville. The hotel has an outdoor pool and terrace, and guests can enjoy a drink at the bar. Free private parking is available on site. 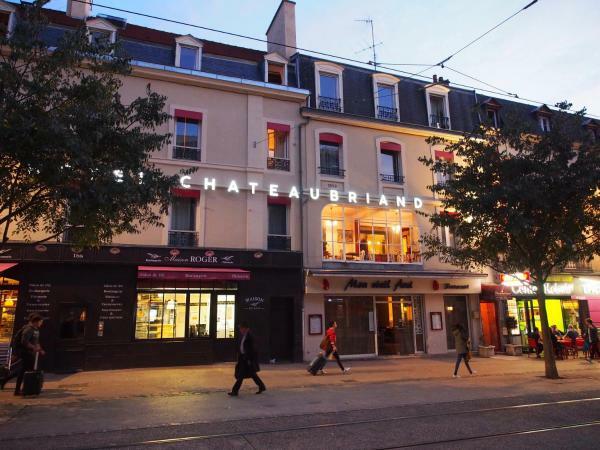 Hotel la Cle des Champs is offering accommodation in Brazzaville. 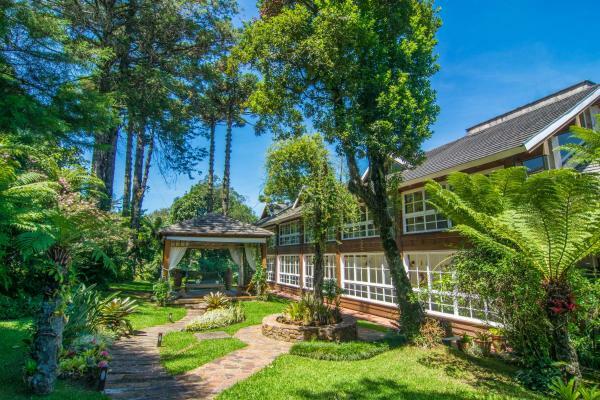 Featuring a garden, the property is located within 400 metres of Total Market. Angolan Embassy is 600 metres away.